A redirection occurs when visitors to a website is redirected to another website. For example, if your web page has a long URL, you can add a redirect from a shorter, easy-to-remember URL to the long URL. Visitors can enter the short URL to access the content of the long URL. Another use of redirection is to redirect visitors from an old/outdated website to a newer, updated one. 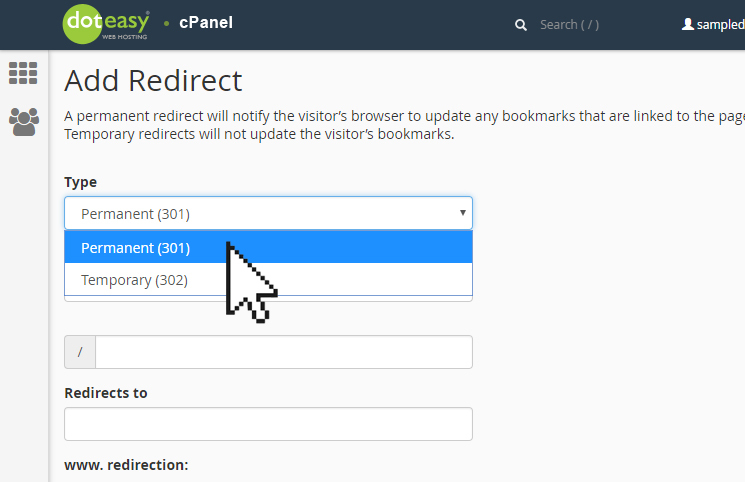 You can use the Redirects tool in cPanel to redirect your webpages. You can even specify whether the redirection is temporary or permanent.